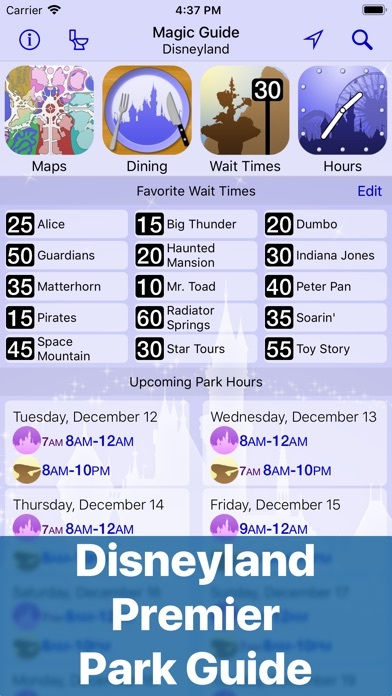 i got this app thinking it would tell me where everything is yet it doesn’t even have most of the rides i want to go on. 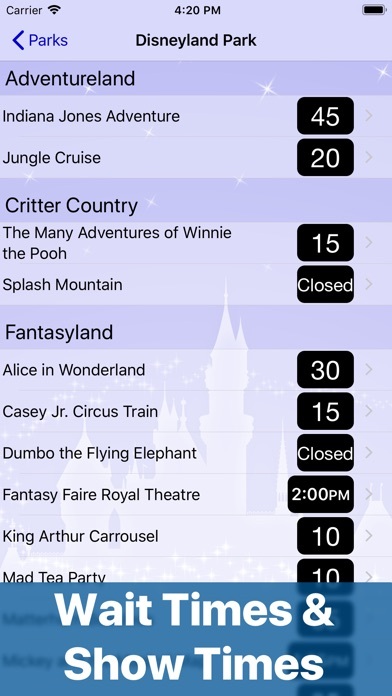 such as Stitches Escape and Laugh Floor and yet if it does have such place it isn’t the right location i would wind up at the end of magic kingdom trying to go to “it’s a small world” so please atleast try to put some of the rides in the right location! Pay to get bathroom information? I was sure this is a joke! 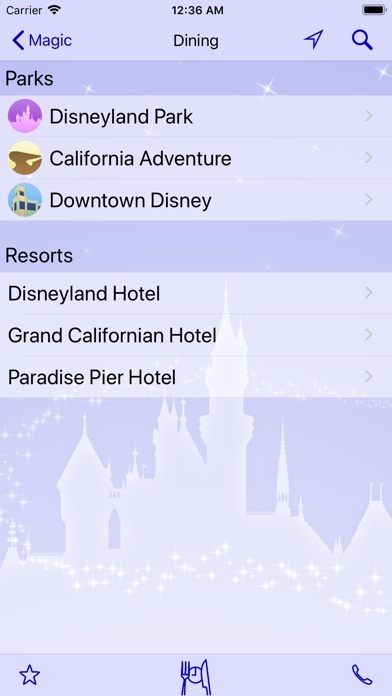 The app was you to pay $5.99 to get “premium” features like bathroom information. This is nuts! Really helpful. I find that’s it’s updated a lot. I think it’s a must for anyone that doesn’t want to carry a map around at the park. 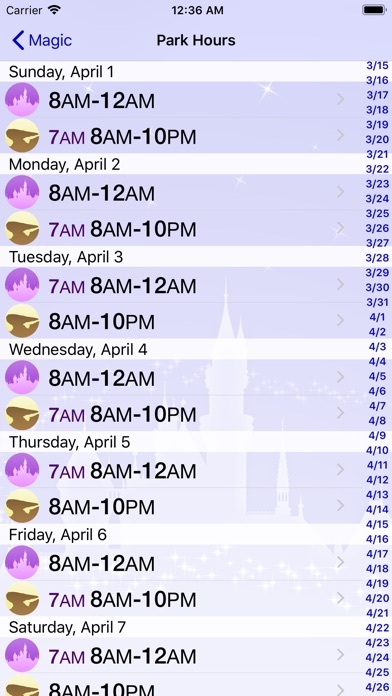 It’s also one of the best apps for planning you’re day and dining options. 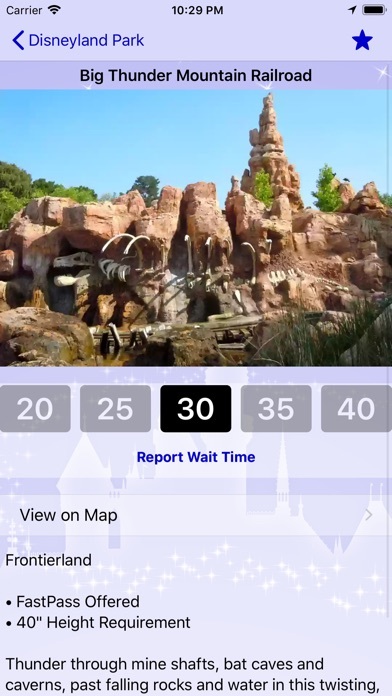 It's been a few years since we have been to the parks, but still enjoy checking out the various areas within the app.. Has worked well and not crashed like so many other iPad apps.. 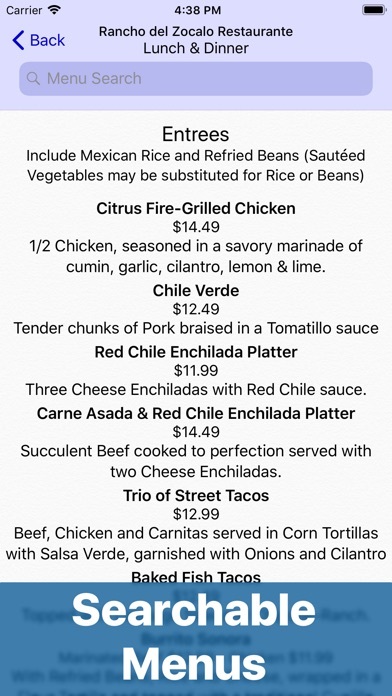 This used to be a great resource for dining but the menus haven’t been updated in ages. 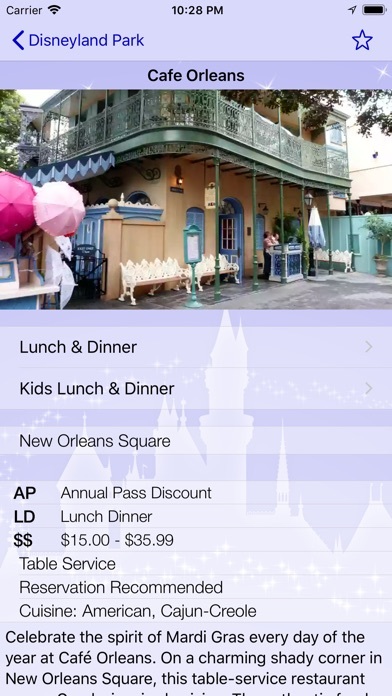 Show up to Cafe Orleans expecting to order the crepes? Sorry, they haven’t been on the menu in months. 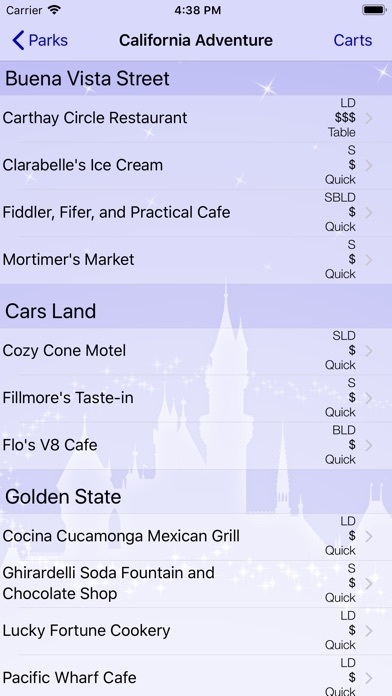 Save your money and pass on this app, you’re better off looking up menus on the Disneyland website. Very useful app. 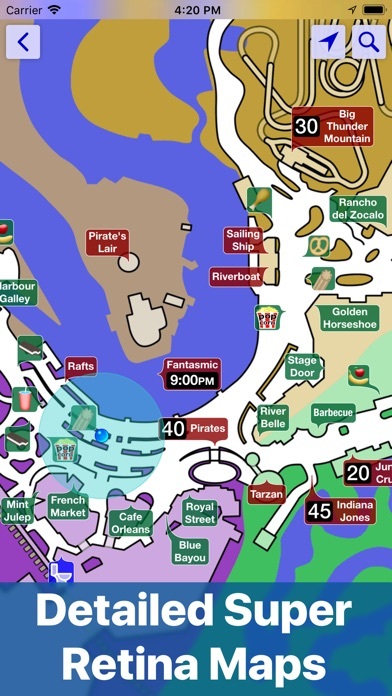 It's my favorite for Disneyland information.